- Reduction of fractured jaws. - Re-implantation of lost tooth. - Cyst / Tumor removal without pain. Oral and maxillofacial surgery is the specialty of dentistry involved in the diagnosis and surgical treatment of disease, injuries, and defects." - Extraction of decayed teeth that cannot be restored. 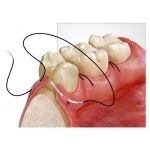 - Surgical removal of impacted teeth. - Extraction of non vital teeth. Oral Surgery basically involves any dental surgical treatments. Dental consultation, proper diagnosis and treatment plan with our dental specialists will first be required before oral surgery takes place. If you need oral surgery for the removal of wisdom teeth or to prepare for orthodontic treatment, SMILEDENTALCARE offers best oral surgery practices. 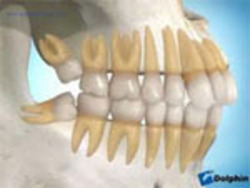 - An impacted tooth is one that fails to erupt into the dental arch within the specific time. Because impacted teeth do not erupt, they are retained throughout the individual's lifetime unless extracted or exposed surgically. - If there is not enough space in the jaw for the wisdom teeth, they may become impacted. Oral Surgery is the dental specialty associated with tooth extractions (removal of tooth), dental implant placement, removal of pathology (disease) and realignment of the facial bones including the TMJ. Most common surgical procedure in routine dental practice is removal of an impacted third molar or commonly known as wisdom tooth.In majority of people due to lack of space in arch thirdmolar are either not present or if present are partially/completely impacted into the bone. We treat and perform surgical extraction impacted teeth, removal of supernumerary teeth, expose unerupted teeth and treat injuries. - Removal of tumors and Cysts in Oral cavity. Tooth extraction by Trudent Dental Clinics is the best in its category in Hyderabad. The quality of Tooth extraction is amazing. Tooth extraction by Trudent Dental Clinics is among the top 10 in Mehdipatnam, Hyderabad. Third molar surgery is one of the most common procedures performed in oral and maxillofacial surgery offices.1-6 Nevertheless, this procedure requires accurate planning and surgical skills. With surgical procedures in general, complications can always arise.